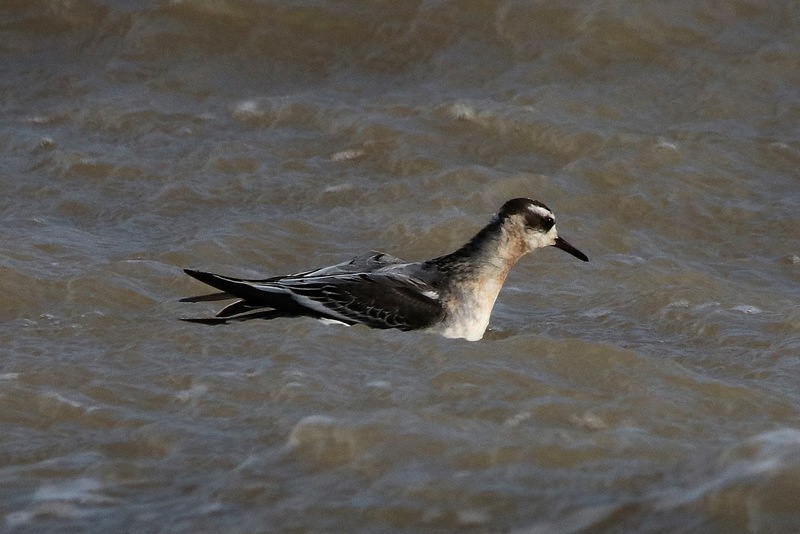 Following a very wet and windy night it dawned clear but still very windy and the place to be was on the beach. 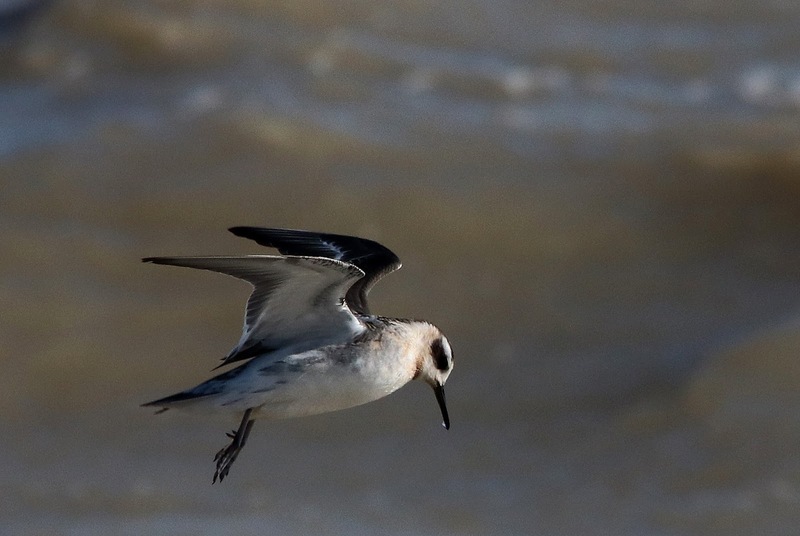 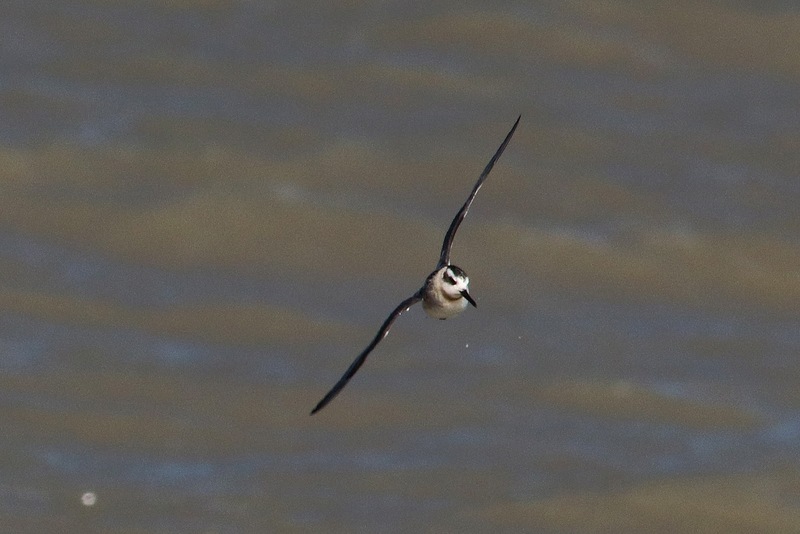 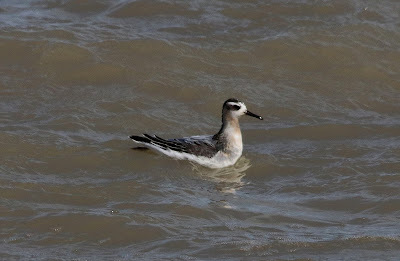 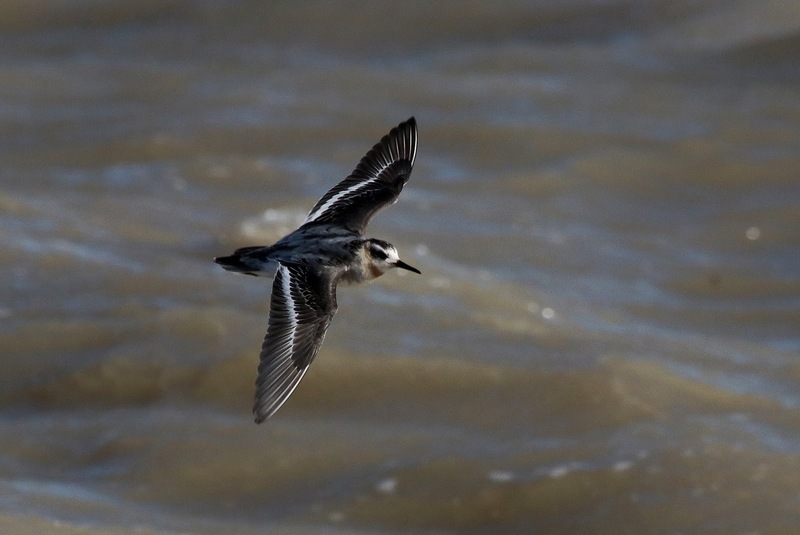 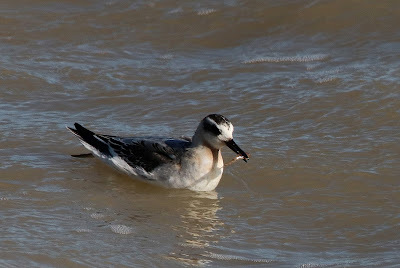 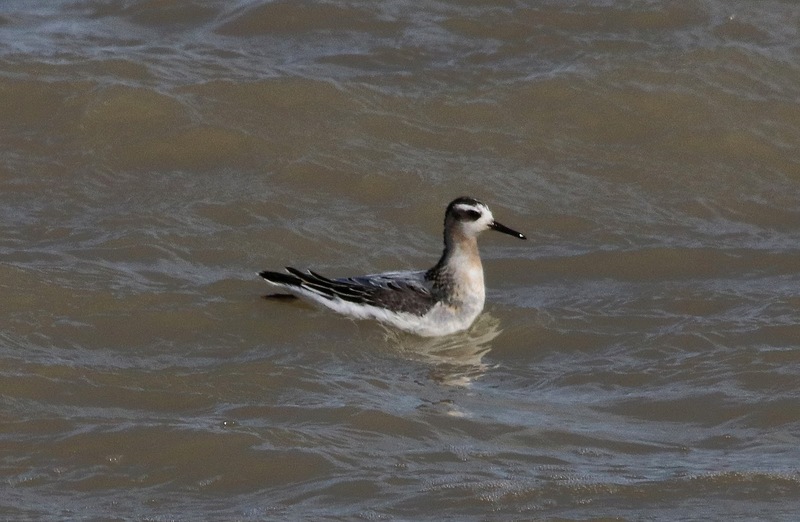 There wasn't a great deal actually moving through but some quality birds were seen in the form of a Leach's Petrel which flew into the bay and at least two Grey Phalaropes - one of which spent the afternoon feeding along the surf at the fishing boats. 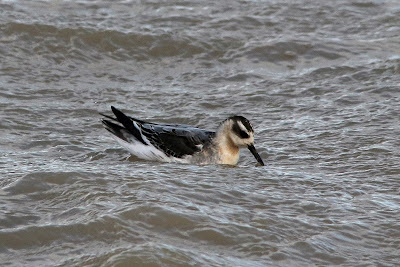 Other bits and pieces seen during nearly nine hours of watching included a Velvet Scoter, 16 Arctic Skuas, a Great Skua, a Little Tern, two Black Terns, 800 Sandwich Terns and five Little Gulls. An adult Yellow-legged Gull was also on the beach. There was no sign of the Wryneck although the conditions were very difficult. 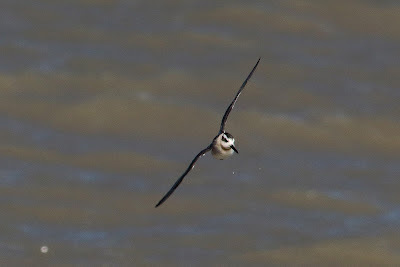 The Osprey that has been residing in the area made a fishing visit to the Long Pits. Two Clouded Yellows were also seen.